It is a pretty chilly day, but pleasantly sunny. I was thinking about taking a walk and I asked dear daughter what she thought. She said no (something about a school project), but both dogs heard the W— word. Oh no! They pranced and danced and barked and whined and when I took down their leashes, the smaller dog (lLilly) grabbed the end as if to just walk herself. Well, OK then. 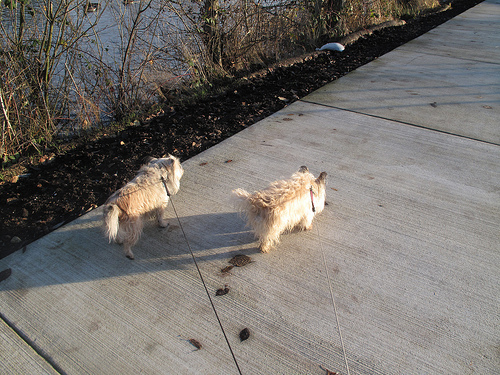 Wapato Park has a nice, short walk around the lake. My coat was plenty warm enough, but I hadn’t counted on the breeze off the lake and wish I had brought a hat. The dogs thought it was the best walk EVER! We saw other dogs, ducks, geese, lots of crows and some kids. The park includes a covered picnic area, a bathhouse, grassy areas, playground equipment and a observation dock. Apparently the name Wapato comes from some of the native vegetation and means small potato! This entry was posted in Historic Sites, Parks, Tacoma, WA State - Pierce County and tagged Park, potato, Tacoma, unusual, Wapatp. 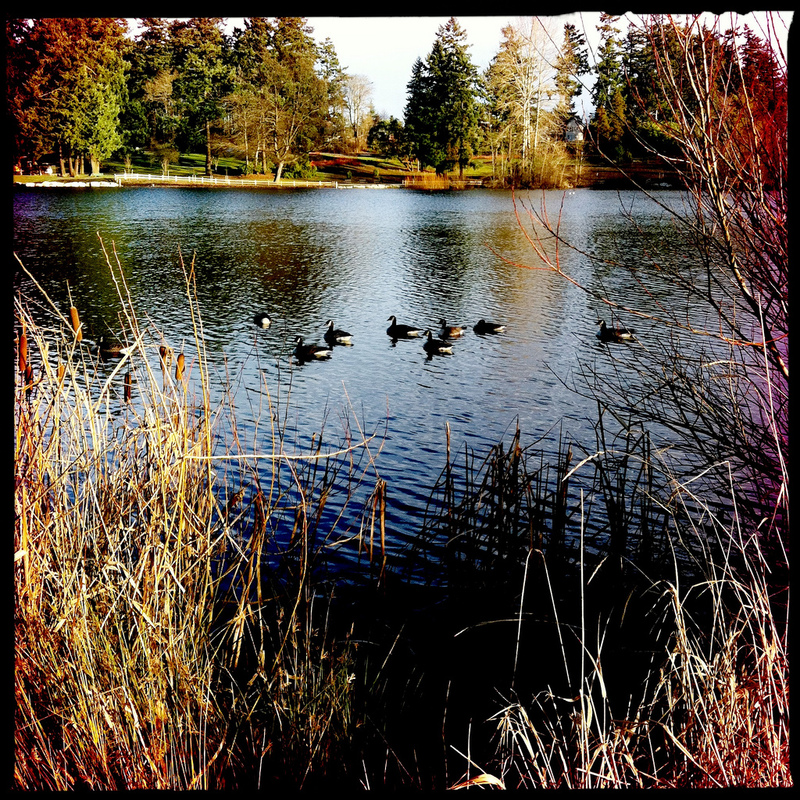 Lake on December 30, 2011 by admin.